2 Spain Transfers provide quality service at great prices, Pre-Book your Malaga airport Nerja taxi transfer for €65, or book your minivan for eight passengers at the economical rate of €88, if you are travelling in a larger group we recommend a minibus comfortably fitting sixteen passengers for €145. 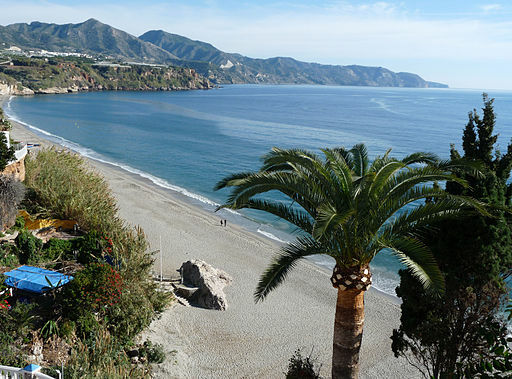 A place still exists on the Costa del Sol which lies between small coves untouched by development and surrounded by impressive mountain scenery. At the easterly end of the province, only 50kms from Málaga and the touristic capital of the Axarquia. The centre consists of an older part with white streets partly pedestrianized mainly to the east of the Balcon de Europa, the natural focus of the town and the venue for fiestas, Because of its previous out-of-the-way location,Nerja still exudes a feeling of quiet seclusion and tranquillity that makes it such a special place to visit or live. The old quarter of the town is still virtually unchanged with narrow, winding streets, whitewashed houses with wrought iron terraces overflowing with geraniums, it’s spectacular Balcón de Europa, the “Balcony of Europe,” a magnificent promenade along the edge of a towering cliff. 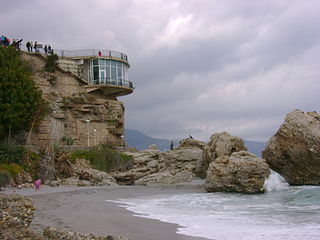 The name “Nerja” is derived from the Arabic word “Narixa” which literally means “abundant spring of water”. In the year 917, during the period when Spain was occupied by the Moors, the Arabian poet, Ibn Saadi, wrote: “Stretched on a carpet of magic colours, while sleeping I closed my eyes, Narixa, my Narixa, sprang from the flowers to bathe me in all her beauty. On January 12th 1959, five local youngsters from the village of Maro decided to go hunting for bats and headed for a pothole known locally as ‘La Mina’ where they spent the night watching a great number of these creatures exiting through the hole in the rocks. The boys decided to return the next day, taking with them some tools to dislodge a couple of stalagtites in the entrance. Once inside, they found themselves able to descend to a huge cavern where they discovered a number of skeletons next to some ceramic pottery. 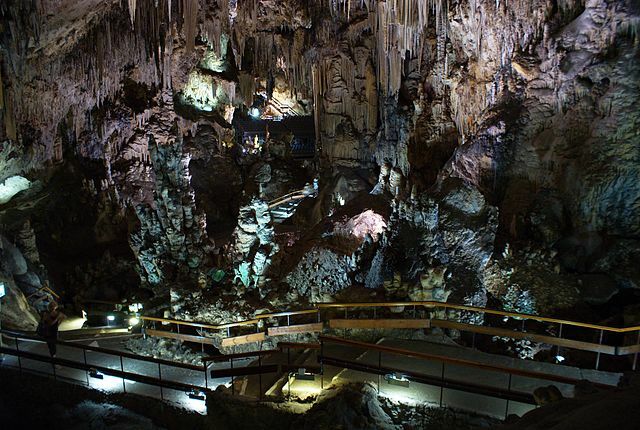 The magnificent Nerja Caves – Cuevas de Nerja – are a series of huge caverns stretching for almost five kilometres and home to the world’s largest stalagmite, a 32 metre high column measuring 13 metres by 7 metres at its base. 2 Spain transfers provide Malaga airport taxis to Nerja in fully licensed and insured taxis and minibuses, Pre book your Malaga airport Nerja taxi transfer for €65 and simply pay your driver after each journey, we offer our clients with the best quality service at low cost prices, remember quality, safety, punctuality all at competitive rates.